Quilting Wide Open Spaces ~ Book Giveaway! I. Love. This. Book!! 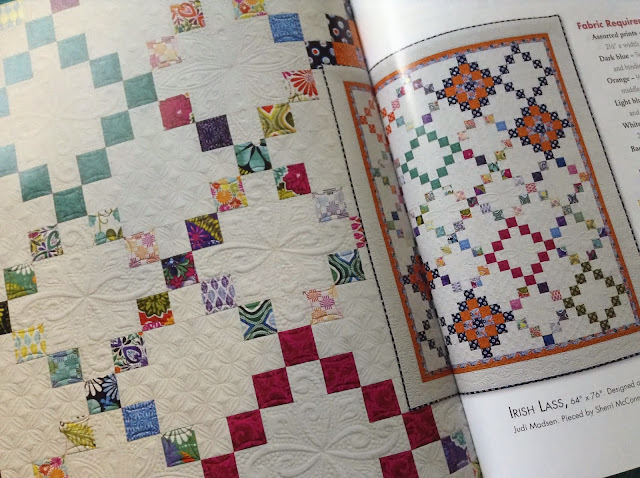 "Quilting Wide Open Spaces" is Judi's new book and her quilting and pattern designs are absolutely amazing! I love how you not only get some beautiful patterns but you also get some inspiring quilting designs to go with! This is one of my favorite quilts in the book, "Irish Lass"! I love how she filled in a few blocks with orange background instead of white....and the quilting....holy cow!!! Amazing! I've all ready been inspired by her quilting and am currently quilting up a quilt with that inspiration! 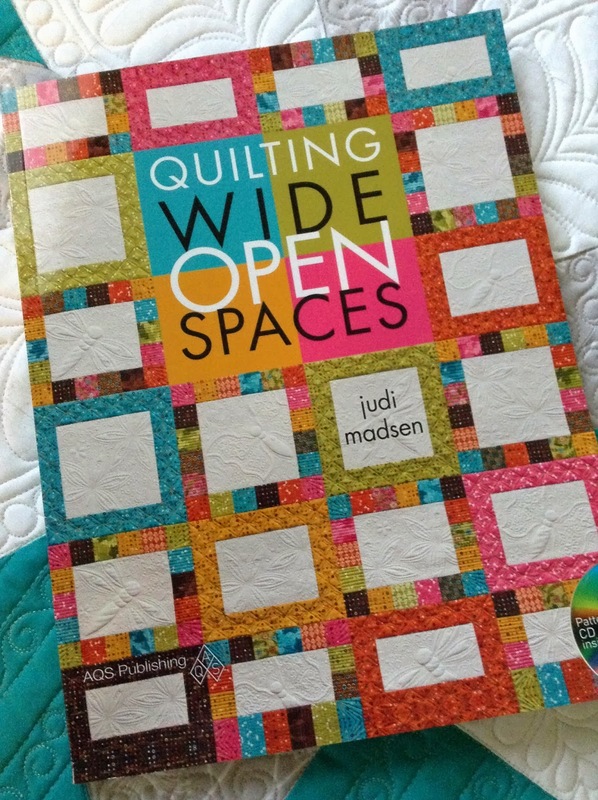 Now for the Giveaway and a chance to win Judi's book "Quilting Wide Open Spaces"! Just leave a comment and only one please. The winner will be announced Monday morning!